De Maas SMC is able to offer Engineer Procure Construct (EPC) contracts as part of our service scope. The main advantages are that these contracts provide a single point responsibility for all aspects of the project and enable close coordination between engineering design, procurement and construction activities. The EPC project scope will include the development of the FEED into a full detailed engineering design prior to procurement of materials and construction. 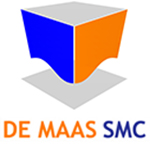 De Maas SMC will take on, or share, procurement and construction risk in EPC projects, all in close consideration with the client and in accordance with the project characteristics.